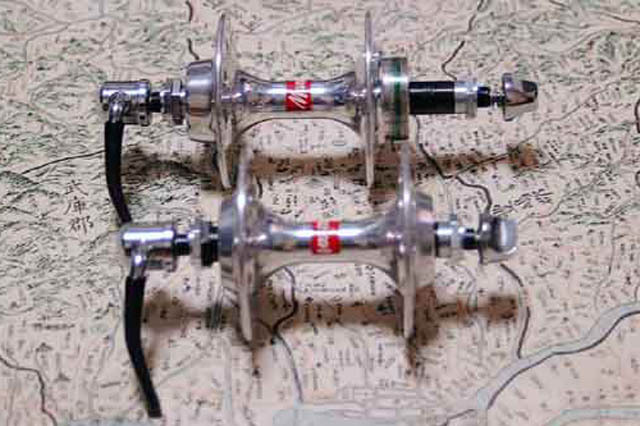 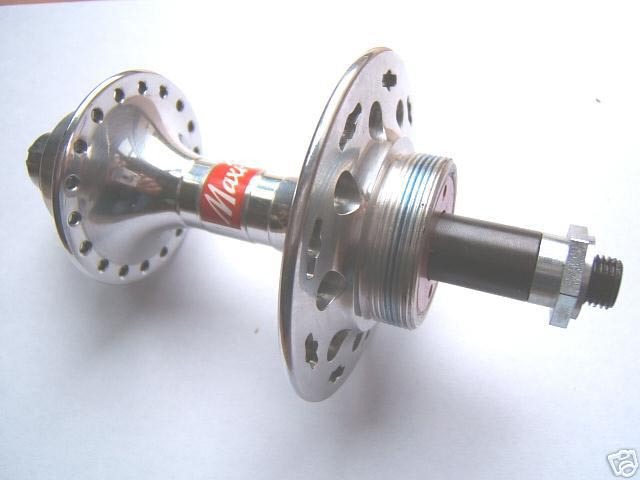 In the late 1980s, a new hub shape was introduced, due to the change in production from machining to forging of the hubshells. 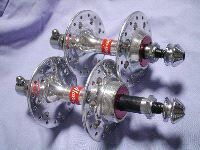 The new design used the same forging for both hub bodies, had the flanges centered on the bearing (therefore narrower flange spacing for front hubs), a more flowing, "trumpet" shape to the barrel, rather than the earlier "stepped" shape, and a bulge on the outer side of the flange. This design remained until the end of production in 1999. 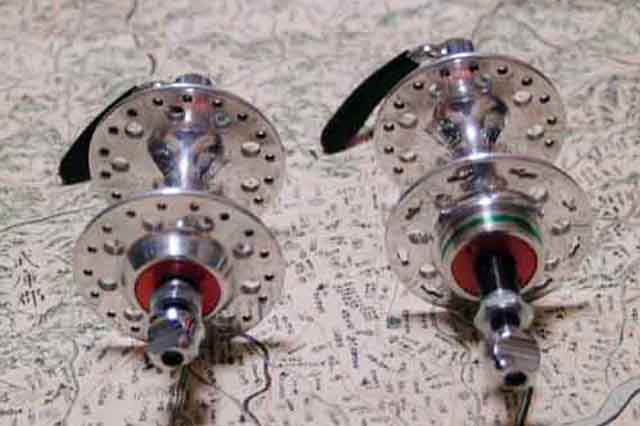 On the hub on the right, you can just see the machining around the sticker area, which was present only in the earliest portion of this hubshell's run, perhaps one of the last gasps of hand-finishing of the hubshells? 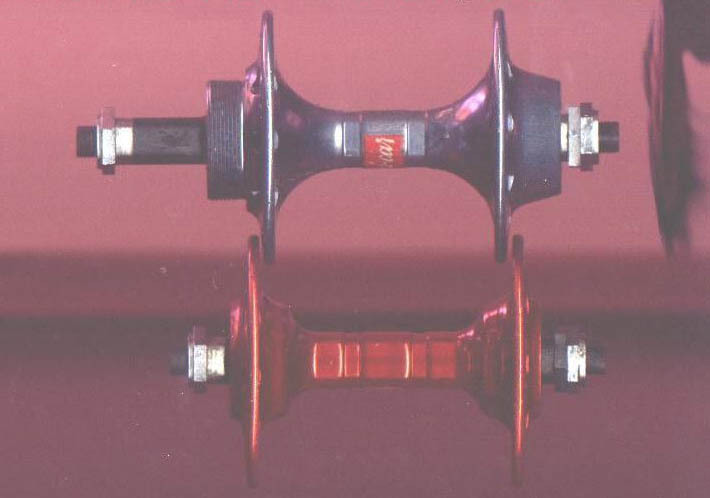 Very late in the last runs of Maxi-Car, hubs were available with stock colored anodization. These are very rare.